“What is the cultured dairy with the most probiotics… yogurt, kefir, or clabbered milk?” Emily asks. Like with many ferments, we can reason out a pretty good answer yet… it's not quite so cut and dried. What's good, better, and best when it comes to yogurt, kefir, or clabbered milk? I'm finding it really easy to clabber milk for smoothies. Which one has the most probiotics? So what is the cultured dairy with the most probiotics? Yogurt is the next in line after kefir. Depending on the variety of yogurt culture you use, it has a few strains of beneficial bacteria. Clabbered milk (or clabber) is after that. Though truly, clabber varies from region to region. Pure clabber's probiotic culture — where you take raw milk and let it culture itself with the organisms that are naturally present — will have whatever the local milk carries. So you can see it could vary widely. Some people make clabber by adding a probiotic culture to it at the beginning. This not only helps boost it from the beginning (ensuring a good result and possibly a better flavor), but it introduces more organisms. By the way, if you want yogurt that combines the best of yogurt and clabber… be sure to grab my free thick raw milk yogurt recipe. It uses the yogurt culture AND also keeps the culture that's naturally present in the raw milk AND it stays nice and thick. (Most yogurt recipes use pasteurized milk; if one were to use raw milk instead, it would turn out runny.) Go here to get the free recipe! Which is best to eat? As with so many judgments we make with what to prepare and eat… it's not always clear cut. A purist who is seeking to eat the most probiotics, will quite possibly choose kefir. Yet it's not wrong, if you're someone who is balancing other factors of real life when choosing which dairy to ferment, to choose a ferment with fewer total probiotic strains. How much time you have, what's the most doable for you, and even which one you and your family prefer eating are all important things to consider. If that's you, then really any of the above are fantastic cultured dairy to include in your diet. Better to make the one that works for you rather than not get around to making another… or better to make the one you like to eat because the other would go to waste, right? And also… above all things, rather than hang your hat on “the perfect cultured dairy”, try to have a variety of fermented dairy and other ferments in your diet. Not necessarily every day, but in seasons. In this way you're introducing diverse probiotics into your gut. And no one gets stuck in a rut or bored. Don't forget! If you want yogurt that combines the best of yogurt and clabber… be sure to grab my free thick raw milk yogurt recipe. 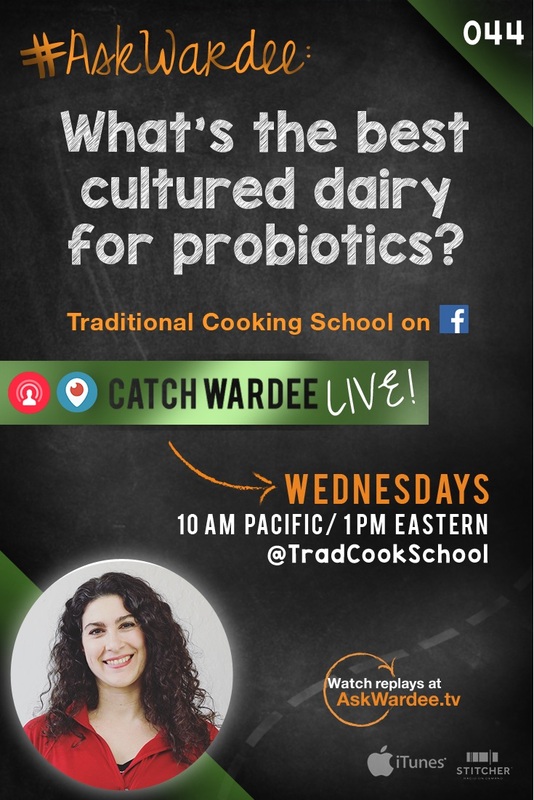 What is the best cultured dairy for probiotics for YOU?